1 Pce. 2 Pce. 3 Pce. 4 Pce. 5 Pce. 6 Pce. 7 Pce. 8 Pce. 9 Pce. 10 Pce. 11 Pce. 12 Pce. 13 Pce. 14 Pce. 15 Pce. 16 Pce. 17 Pce. 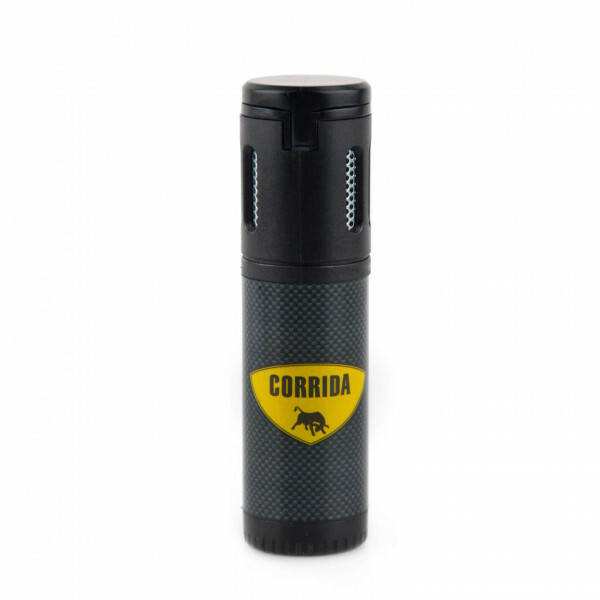 Product information "CORRIDA Jet Flame Dominican Republic"
Refillable Jetflame made of plastic in carbon look, printed with CORRIDA logo and in a classy packaging. Related links to "CORRIDA Jet Flame Dominican Republic"
Customer evaluation for "CORRIDA Jet Flame Dominican Republic"